CTHauntedHouses.com features all of Connecticut's best haunted houses, hay rides, mazes, pumpkin patches, haunted attractions and fall fun that you're looking for the 2019 Halloween Season. Whether you're a thrill seeker looking for the best local haunts across Connecticut, or you're looking for Fall Festivals, and the more family-friendly side of Halloween Fun, CTHauntedHouses.com has what you're looking for. 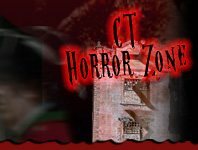 Since 2008, CTHauntedHouses.com has helped locals across Connecticut make the most out of the Halloween Season with comprehensive listings for all of STATE CT's best attractions, including dates of operation, in-depth bios, photos, social media feeds, and so much more! Our blog also features a deeper look into this year's Halloween Fun, including the latest Haunt News, Halloween Fun & Games, Seasonal DIY ideas, and the nitty gritty details of Connecticut's REAL Haunted attractions. Have a local haunt and want to get listed? Give us a call at 888-228-5265 and speak to a CTHauntedHouses.com representative today! Don't Miss Out on the Celebrity Haunted House Fundraiser at Creeperum this October! Find Out What's in Store at Norwalk's 'Haunting at Mill Hill' this October! Deliver Scares this Halloween Season by Working at a Local Connecticut Haunted Attraction! A Date Night to Die For: Take on the Valentine's Day Massacre at Fright Haven! Stir Up Some Horror with Your Love this Valentine's Day at Creeperum! Fright Haven Presents: A Frightmare Before Christmas Holiday Haunt! Fright Haven Presents After Halloween Scares with 'Blind Rage' this Weekend! Legends of Fear in Shelton Hosting Make a Wish Connecticut Benefit Event this Friday! Exclusive Event this Saturday: Meet The Walking Dead's "Sasha" at The Haunted Graveyard! Check out What Creepy-Good Fun is in Store at Creeperum for the 2016 Halloween Season! Fright Haven of Stratford is Back from the Dead & Ready to Deliver Tons of Terror this Halloween Season!